Recently I’ve spied quite a few photographs of flowers and flower arrangements featuring very dark or black backgrounds. This is not new in the depiction of flowers, but it is a swerve away from the de rigueur of the ‘computer white’ backgrounds so prevalent across the online world. Pale colours are contrasted and highlighted by a dark background and interestingly the foliage greens appear more striking. Naturally, this has all been explored before during the Dutch Golden Age. Inventive Dutch 17th-century artists created beautiful, dramatic flower paintings against dark or black backgrounds. Currently, there’s an extremely gifted contemporary photographer, Paulette Tavormina also working in this area producing some fascinating images – well worth a look. Group of Flowers – Willem van Aelst (1627 – after 1687) Oil on Canvas. The Fitzwilliam Museum, Cambridge, UK. It’s that time of year when yellow is big in the garden and often just for a few days you might see people dressed in yellow. For us northern European folks yellow is a notoriously difficult colour to wear successfully. A pale lemon or a gentle soft buttercup knit may look fine in out northern light, but after the long winter and many indoor hours too often even pale yellow does not enhance a washed out and sometimes sickly complexion. Strong bright or piercing acidic yellows are mostly definitely out. And, it’s not just clothing, I’ve noticed how bright yellow cars appear less than appealing in our spring sunshine, yet somehow in the same light nature’s yellow is so satisfying. Marni yellow leather jacket (£3,300) and yellow leather skirt ((2,110) from their Milan show. Yellow Vauxhall Corsa – great if you live in a hot sunny country, bit sad in grey drizzle. Whether it’s cultivated daffodils, violas or forsythia, or even the humble roadside dandelion, nature’s yellow is eye-catching, refreshing and triumphant. Oh dear – we all make mistakes! Back towards the end of June I planted out some Morning Glory seedlings. 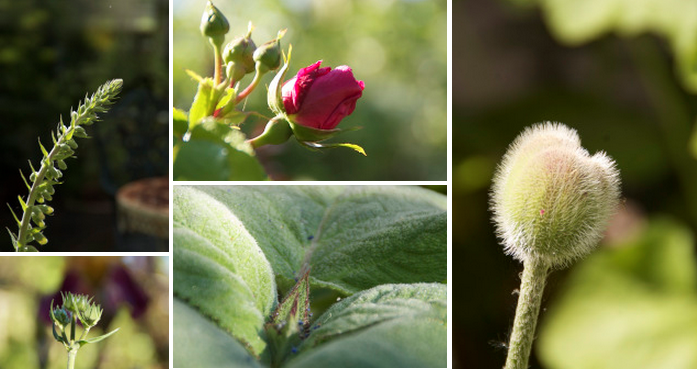 I usually put a couple in with an early flowering clematis to take over the flowering from mid summer and a couple more that will thread up into the wisteria. However, this year I had the bright idea to add some to twine round my dark red and bright pink dahlias and so I pushed in a few seedlings next to the dahlia tubers. Spin forwards a couple of months, Morning Glory beautiful, but what is this ghastly, strangling white monster that looks so much like Morning Glory – arggh it’s bindweed in with my dahlias, quick yank it out. Then, oh dear, looking closer, I remember my little Morning Glory seedlings, too late, now ripped up and crushed. 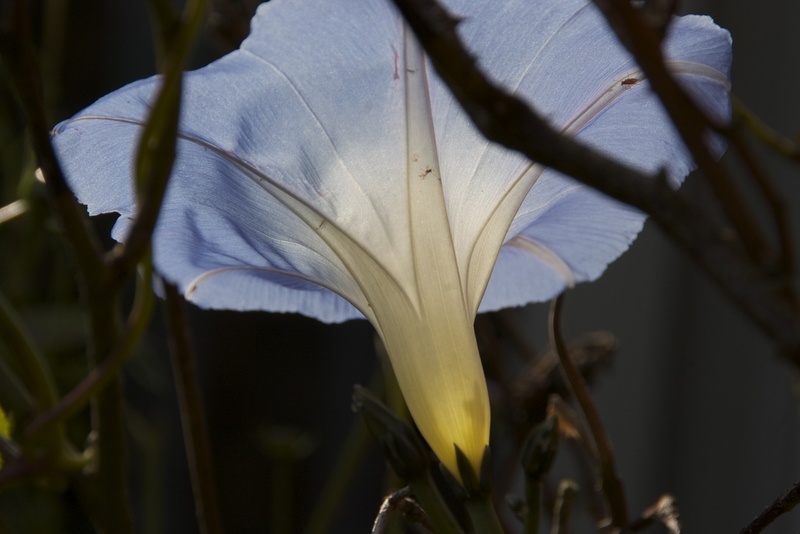 Of course, both plants are members of the Convolvulaceae family. 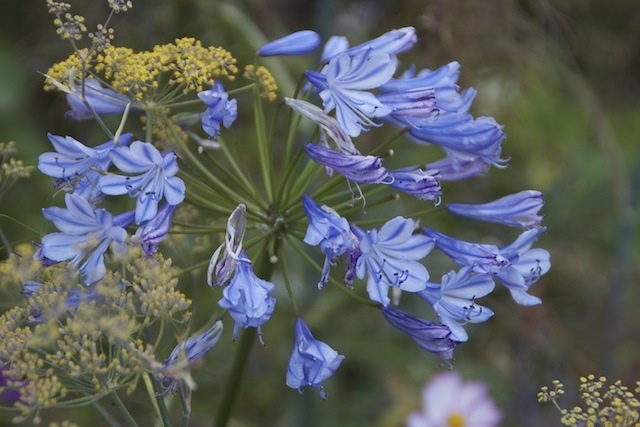 When I was in Italy, in a warmer climate, I noticed a blue flower version that was as much a weed as white bindweed is here in England. 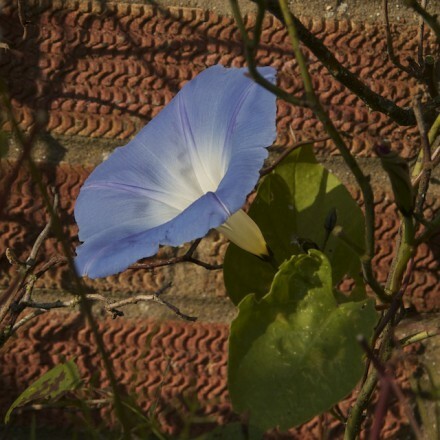 However, as the blue ipomoea dies with the first frosts here it’s a wanted blue flower that’s grown as an annual and not a rampaging, nuisance weed. The wanted, truly blue, Morning Glory. 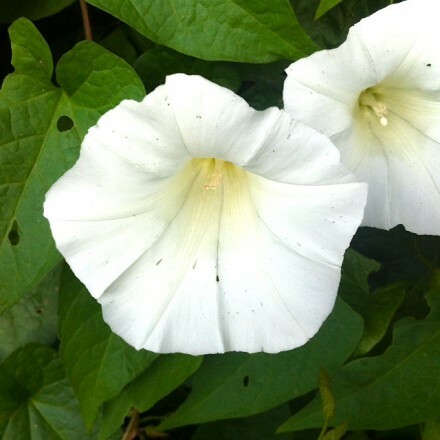 Author agnesashePosted on September 25, 2014 September 25, 2014 Categories Everyday Photographs, GardensTags bindweed, Convolvulaceae, convolvulus arvensis, flowers, Gardening, Ipomoea, ipomoea nil, Morning Glory, pretty6 Comments on Oh dear – we all make mistakes! I survived the tail end of hurricane Bertha! Survivor, but a little battered. When old mother nature comes knocking at our door in the early hours of the morning what can we expect? I understand from the weather people that the UK has just been hit by a large, summer storm system that was the tail end of hurricane Bertha. Over the weekend there has been torrential rain and flooding and very strong winds. 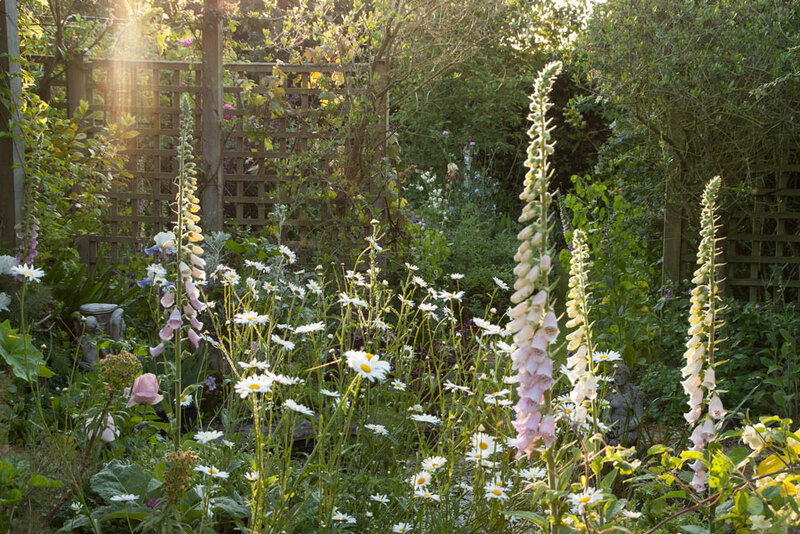 In the garden the flowers have been bashed, half my raspberry canes are down and the runner beans have flopped over. But I am lucky I live at the top of a hill (yes there are few hills in Norfolk), and I feel very sorry for all the folks who have woken up to flooded houses. I hope the summer wind will dry out their rooms as fast as possible. Meanwhile earlier this evening I set about saving the beans and spied this little beauty struggling on in less than ideal conditions. 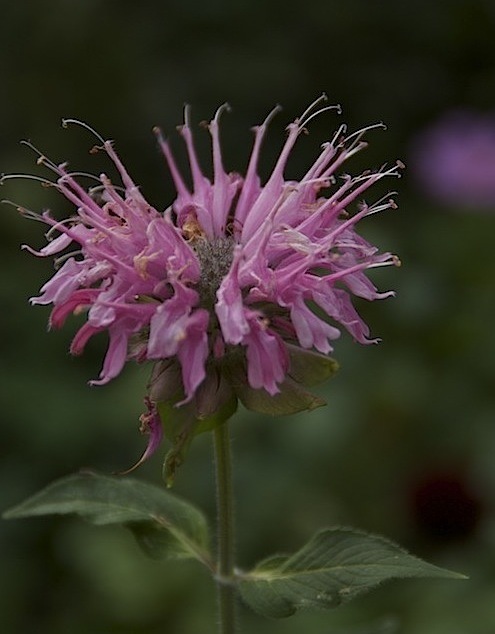 Also known as bergamot or bee balm. 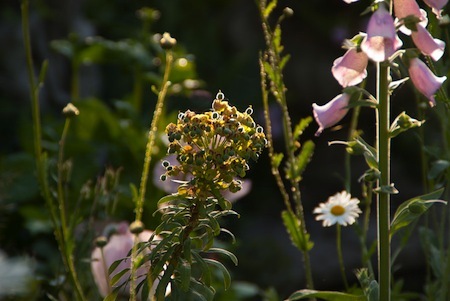 Author agnesashePosted on August 11, 2014 Categories Flowers, GardensTags bee balm, bergamot, bronze fennel, flowers, Foeniculum vulgare Purpureum, Hurricane Bertha, monarda, summer storms, survivors4 Comments on I survived the tail end of hurricane Bertha!